This one cost me a lot of time and some very hard thinking and still the result wasn't very good. Could not figure out why card popped out the top--finally realized it was the left end piece of garage top that was too far off. I have had more difficulties with side-mounted cards. They almost always come out with one half larger than the other. Is that normal? The other problem with this one was the glitter paper which I've never used before. It does not glue flat. P. S. Ole Blue is an antique car which just had a lovely new paint job and got a brand new garage to live in. not sure what you mean by "They almost always come out with one half larger than the other"
Uh oh. That wasn't the right file alright. I did start with that file and quickly discovered this card won't open if it has a backing as the roof has to slide up and down. I meant that often my PCS cards don't have the center fold exactly in the middle; one half ends up being larger than the other half which makes it very difficult for me to figure out where to fold the outer layer. I guess maybe it just depends on how the card is built and I should pay more attention to the print preview. Guess I was hoping there was a trick to make certain the center fold really ends up in exactly the center. Thinking about my problem more. It must be an inherent function of PCS and my problem is being caused by having something on one half at a certain distance and the other half a different distance. If the objects on both halves were at equal distances from center fold then the card would fold exactly in the center. Talking it out with you has helped me as you always do. Then I remembered something @leslie6111 wrote once....she trims her cards after cutting to fit the backing the way she wants. I didn't understand at that time but it makes sense today. I notice when you import this card into MTC its 12" x 7" if you cutting from 12" card if you not setting you blade origin right on the end there won't be enough card left at the other end .. does that make sense ?? If you are cutting this on 12 x 12 card stock and it is 12 x 7 finished. I would bring the 2 svgs - cutting and shapes into MTC and first set them both at x=0, y=0 so they stack properly. Then I would move the whole lot of them so when the card is cut, it is centered at the mid point of my virtual mat. I would get rid of the longer top and bottom edge line with the node tool that are sitting at the top and bottom edges of the cardstock since the blade might get caught when it is cutting at the edges. 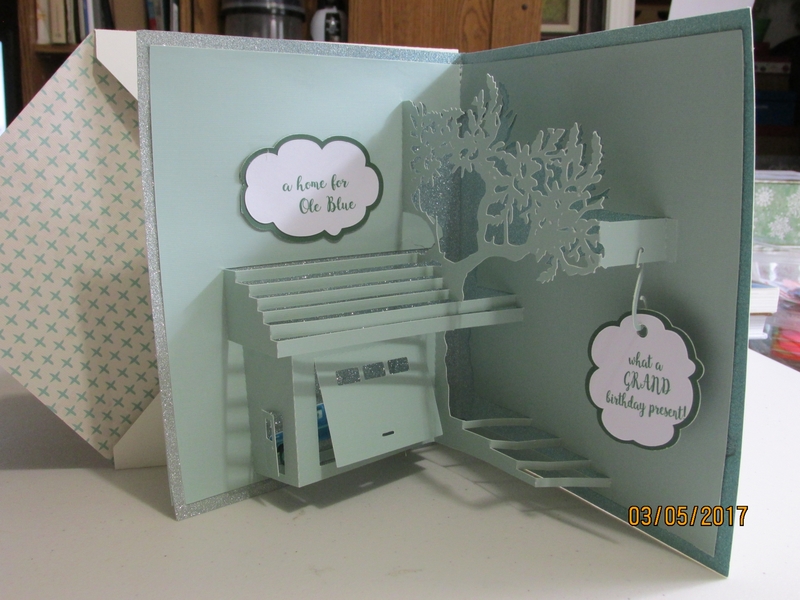 I center all my popup cards, even those I cut directly from pcs and I make my virtual mat the size of my cardstock. Ok now I'm confused " I would bring the 2 svgs" why are there 2 svgs ? @Crazy_Mr_Zing for once I get what I am being told! Leslie means the svg for cutting and dashed lines and the shapes file; thus two svg's. Also I get now why Leslie eliminates top and bottom cut lines on a large file. I just hate it when the paper edge gets caught up in the lid or wherever and jams. I also finally get why some popups don't fold exactly in half; correctable but it means I have to pay attention before cutting, which is another thing I forget to do. I don't know what I would do without Forum folks. When I export a card form PCS as svg I only have one svg file to import that why I'm a little confused ? Paul - One svg contains the cut and fold layers. The other svg - found under "export shapes" - is made up of the closed shapes that make up the overall popup - shapes svg - so that you can color or texture them in more easily. Andy added that in an update to pcs cause when pcs was first introduced, we had to manually close the shapes and shadow slightly that so that we could texture or color around the popup to add the background such as grass or sky or even roof color if we were doing a house card. But you still have to stack the svg's when you first import them into MTC cause they come in where your cursor is set, which could change. That is why I place them at (0,0) to start. As an example - this is a recent pnc popup card I did and used the shapes svg to add brick texture, roof color, grass and sky. I could have done it manually, but so much easier to use what is available already in pcs. Now I have it . 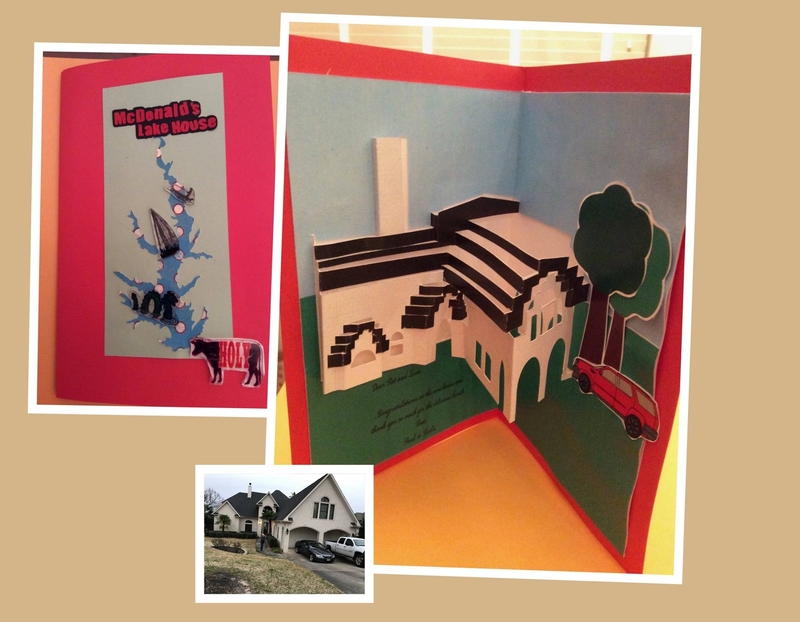 @leslie6111 I enjoyed seeing your card recreating your house, or someone's house anyway. I had a similar idea but so far haven't got it to work. When using the svg shapes file to add colors or texture I really hate how the shape moves slightly when selecting it. Doesn't happen all the time but sure messes things up if you don't watch the shapes like hawk. I am not doing anything different....just selecting the shape first. Is this a flaw or am I doing something wrong please? Make sure you have No Snapping selected on the Main Bar on the right side. I think Sandy might be right - I do not have issues but then I never have snapping selected. Also you can copy and paste the shapes on another open MTC virtual mat to work on to add textures and then move them back with a paste in place so you do not mess up other shapes. So you do not disturb anything else. @SandyMcC and @leslie6111 The no snapping helped a lot but some shapes still moved a bit when selecting them. Copying to another layer when adding textures probably is my best bet to keep from starting over, and over, and over. It is a lot of fun to add textures and color; have to keep working at it. I just discovered adding "seamless" to google searches for texture really helps! Your mouse must be super sensitive. Then put the shapes all on their own layers and lock them - only unlock the one you want to work on. I have to that when I work on a complicated project.